It was a somber day in Illinois as a state trooper that was killed in the line of duty was laid to rest. 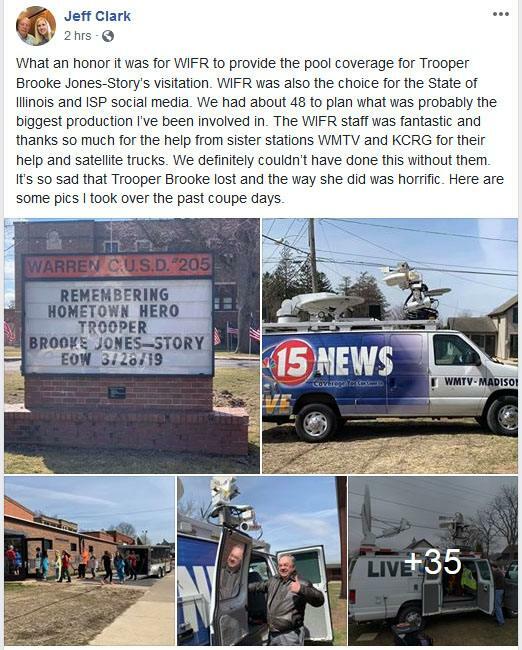 WIFR (Rockford, IL) Operations Manager Jeff Clark took to Facebook to “celebrate” their efforts at the funeral of the state trooper. I’m thinking that the smiling selfies could have been left out of the post.